As if I thought this holiday could get anymore chilled. 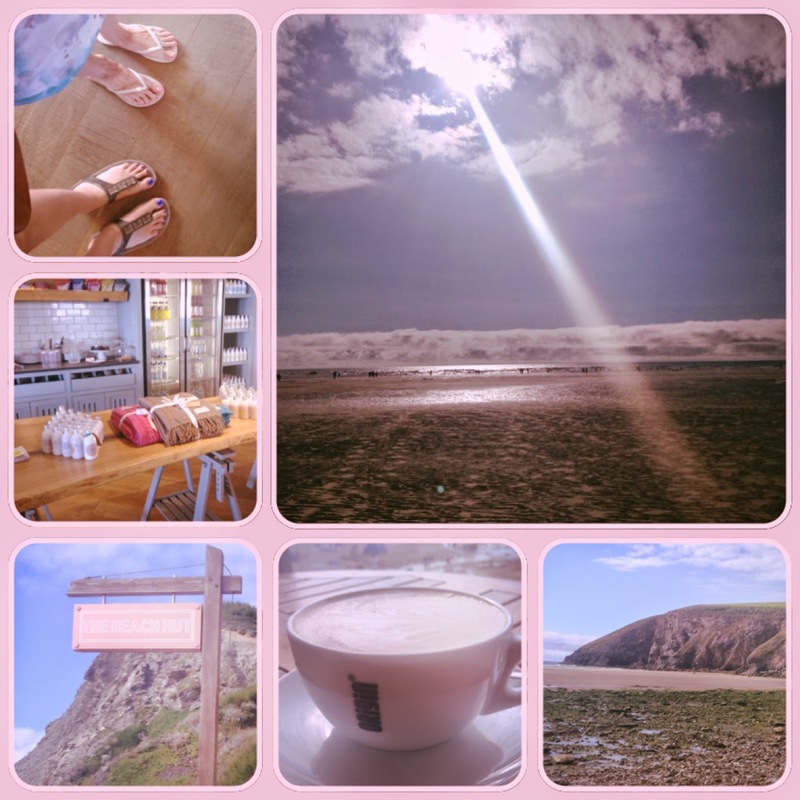 Mum and I started the day with a 'speedy' pedicure at the 'Watergate Bay Hotel'. Because of my epic nail polish collection, I had to think really carefully about which colour I wanted. After all, I wanted to get our money's worth and there's no point choosing a colour I already have. So I went for an electric blue shade - something more experimental and similarly summery. Mum, on the other hand, fell into the trap of picking a the exact same 'Essie' colour she has at home. It was lovely though. Our treatment room even had an incredible view of the beach. After relaxing in the house and trying my hardest to tan my pasty legs, I headed down to the beach with Dad for coffee. I seem to have inherited his caffeine addiction. 'The Beach Hut' is an adorable little café/restaurant which sits right on the beach front. We somehow napped seats with the prettiest view of the ocean. Plus, it's amazing to have an excellent cup of coffee like theirs outside of London - I felt the need to pay tribute with a photo. Then it was off to Mawgan Porth for the dog's second walk. We got there in the early evening so it wasn't too crowded but the sun was still shining. It's such a beautiful beach, I couldn't take enough photos.